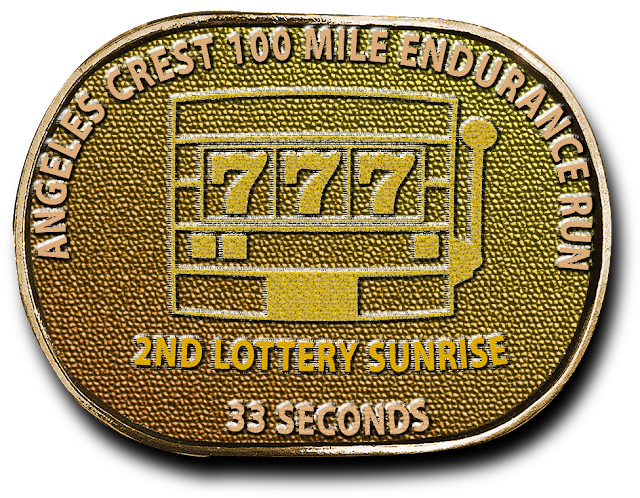 The Lottery for the 2017 Angeles Crest 100 kicked off on Monday, Aug 8, 2016. It only had 214 names, so race management put it on hold until Thurs, Aug 11. More names were added. The lottery software is reputedly LottoWare 404, and is based on the Random Rejection With RD Override Algorithm; conducted at a secure, undisclosed location somewhere in the world. a manual draw in front of a live audience, Placer HS, weekend after Thanksgiving. Entry window: A week in November, several months after that year's racePre-qualifications already in placeNew for 2017: a wait-list! Adapted from the Hardrock 100, its an idea that may have unforeseen consequences if it survives the harsh passage over the San Gabriel Mountains. Of course, that's way too difficult for RD Ken Hamada to implement.